The Perth Choral Institute’s objective is to provide first class education to singers in a variety of styles. Through doing this, PCI aims to forge links between all major vocal ensembles and educational institutions within the State of Western Australia. 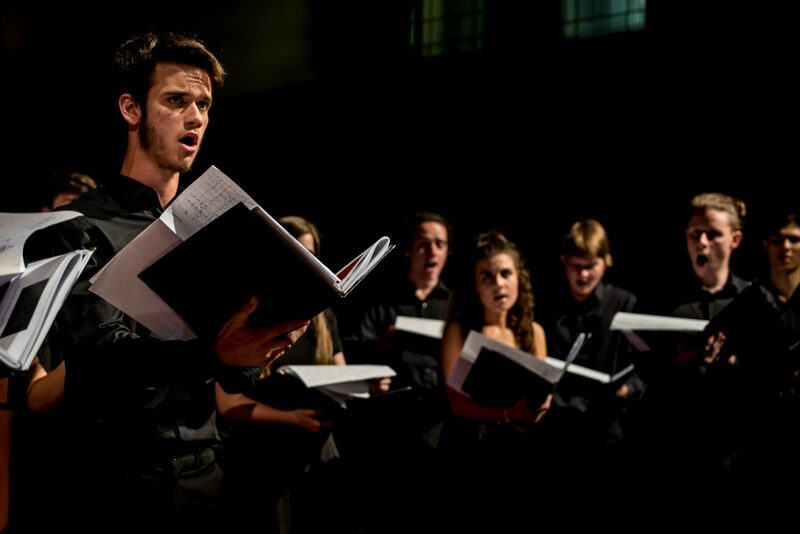 For singers aged 15-25, the principal method that the Perth Choral Institute uses to provide this education is the PCI residential Summer School. Over the course of 8 days, singers will perform 4 times in four different venues. They will sing a variety of genres in these performances, including from Sacred Choral Music, Opera Choruses and Jazz. Participants perform both as a large scale ensemble and in smaller consorts. Each singer will also receive two thirty minute individual singing lessons with a national expert of voice. The standard of choirs throughout Western Australia is truly magnificent, as highlighted by the 13 WA members of the 24-strong National Youth Choir of Australia in 2017. Many singers are who first cut their teeth in Perth are now known nationally and internationally, and ensembles in genres as diverse as Barbershop or Sacred Choral Music can rightly claim to be the premiere Australian choir in their field. 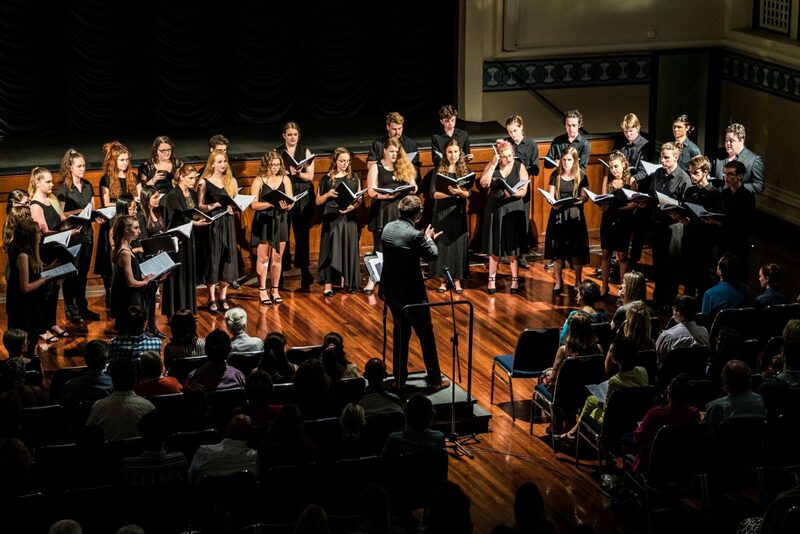 The mission of the Perth Choral Institute is to encourage the sustained momentum and growth of singers throughout the whole state, so that WA continues to be a choral powerhouse both in Australia and further afield. To help maximise the speed of this development, donations are being sought to both help supply the Summer School with the highest calibre of vocal experts and provide financial support for those young singers who cannot cover the participation fee.. Donations will be used in two possible ways. Firstly, individual staff members can be sponsored to work on the Summer School. For example, the three singing teachers for the course are Sara Macliver, Fiona Campbell and Andrew O’Connor. Each of these musicians can be financially backed by either one patron or a group. Donations can also support young people who are unable to meet the course’s financial demands. Sponsorship requests are made in writing by the singer to the Perth Choral Institute, outlining their contribution to the WA Choral Community; each is taken into consideration. Again, these young singers can be backed by either an individual or group. Many of these young musicians will be become future members of WA singing ensembles such as Opera WA, St George’s Cathedral, St Mary’s Cathedral and The Giovanni Consort. The Perth Choral Institute aims to provide them with the requisite training before they arrive into these ensembles. There are two principal methods that the Perth Choral Institute will use to provide this education: The PCI Summer School and an ongoing series of PCI Boot Camps. Through these two different styles of learning experience, WA singers of all ages and genres will have the opportunity to develop their singing skills, forge friendships with like-minded people in their community, and build self-confidence in their abilities, all the while having fun.